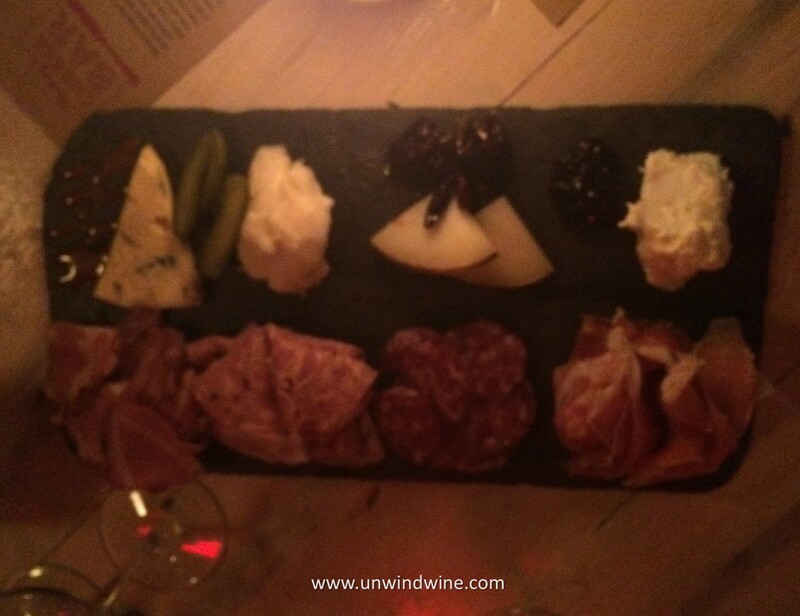 During our NYC getaway weekend, we dined on Saturday night at one of son Alec's favorite eateries Murray's Cheese Bar on Bleaker Street down in Greenwich Village. 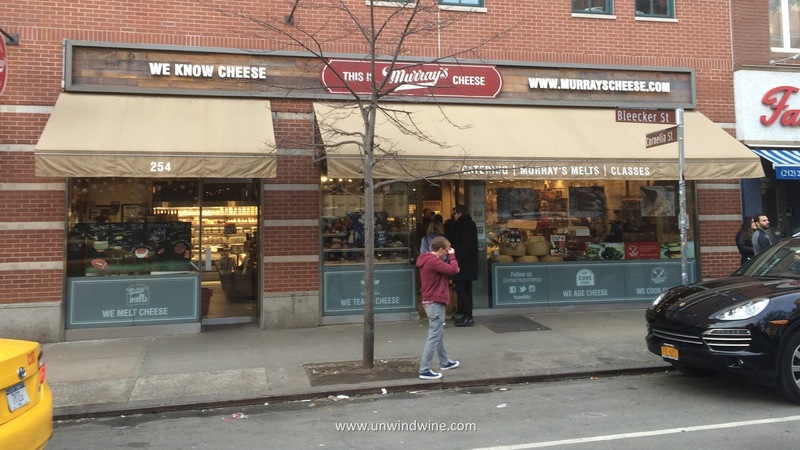 Legendary Murrays Cheese Shop has been at the same site on Bleecker Street since 1940. The Cheese Bar opened in 2012 to feature their selection of fine cheeses selected and arranged by expert Cheesemongers, or cooked into heir imaginative dishes by a team of seasoned chefs. As usual, Murray's was packed, lively, bordering on boisterous, serving up imaginative cheese centered combination plates and dishes. 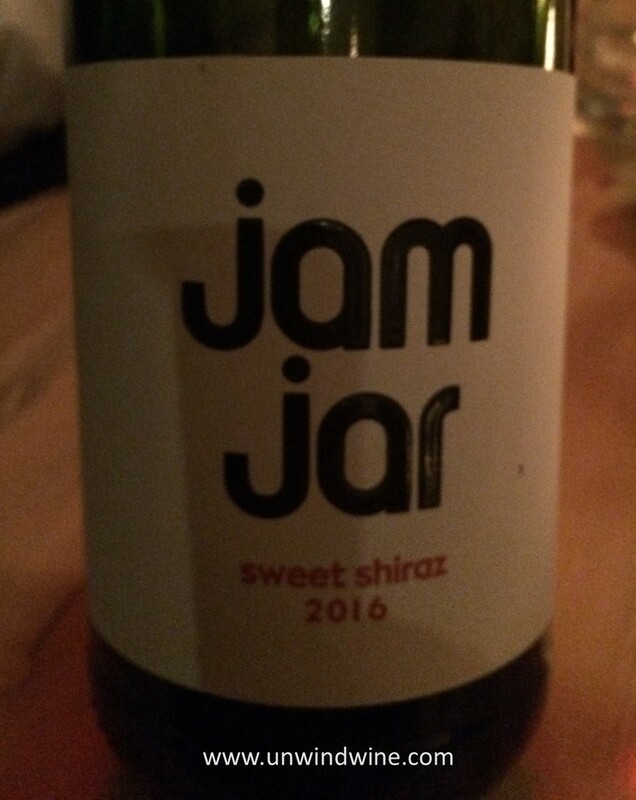 We chose wines from Murray's simple but succinct winelist, with its carefully selected cross section of wines to accompany the range of menu options. 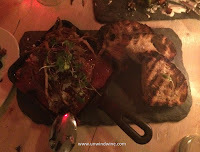 This time, they did not offer any New York or Long Island wines which we customarily would order for the occasion. We started with a Proseco Sparkling wine to sip with Murray's Kale Ceasar salad with Parmigiana-Reggiano, Radish, Anchovy and Crutons. Transitioning to the main courses we had Brussel Sprouts with Lardons, Pomegranate Molasses, and Smoky Bleu (cheese), and Mussels and Fries with Coconut Red Curry in a Lemonbroth sauce. 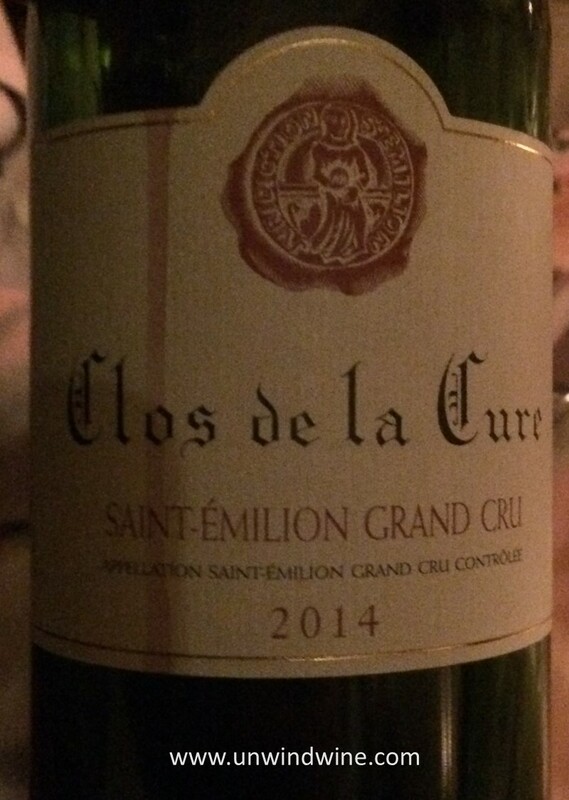 With these courses we had a Merlot based St Emilion Grand Cru Bordeaux from Clos de la Cure. 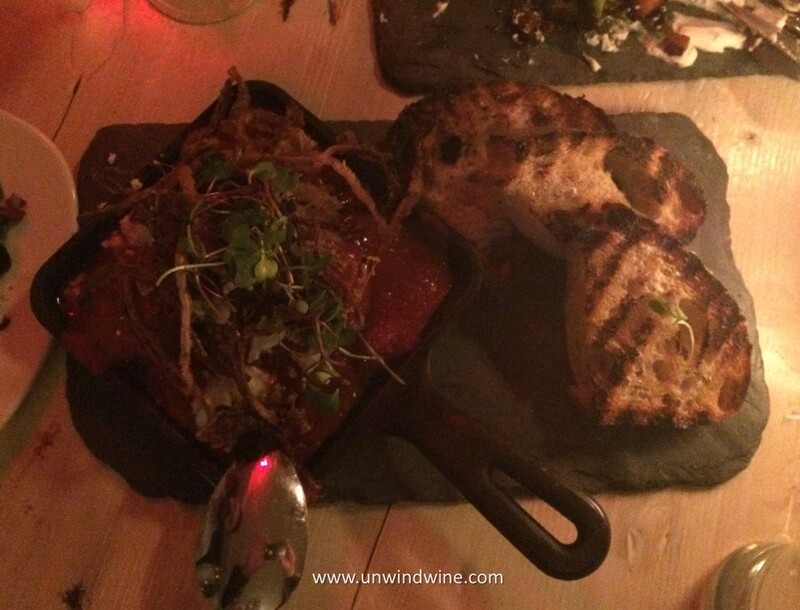 We then dined on Murray's Lamb Meatballs with Spiced Tomato Sauce, Fennel, and Sheep Feta (cheese) (shown left). 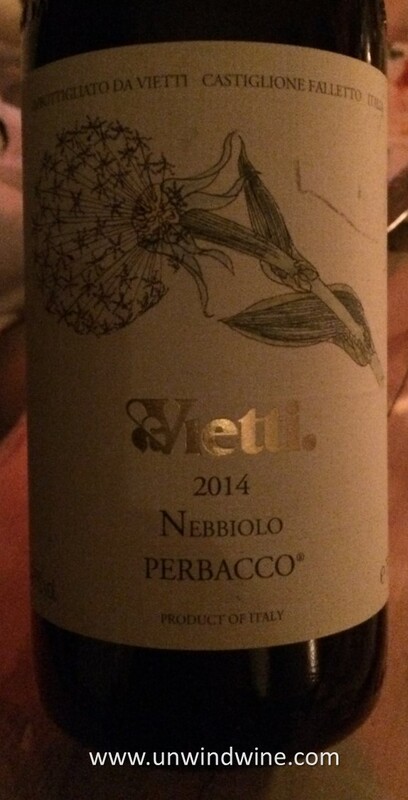 With these hearty courses, we drank a 2013 Perbacco Vietti Nebbiolo from Langhe Piedmonte, Italy. As is customary, we let the Murray's Cheesemonger prepare for us a selection of cheese and meats, each accompanied by a complementing fruit, puree, sauce or jam. This went well with the Nebbiolo, and from there we moved on to a Jam Jar Australian Shiraz 2016.